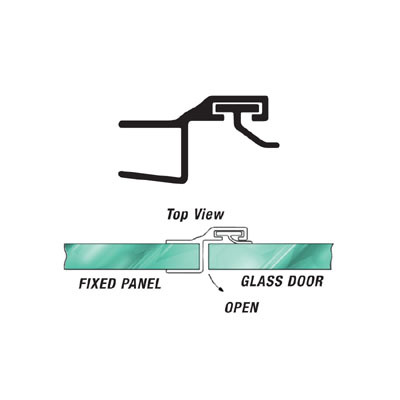 Snap this clear Polycarbonate 180° Strike Jamb onto the fixed panel for an excellent seal on a 180° glass-to-glass application. 95" (2.49 m) stock length. Note: For best results, use 5° positive closure hinges to maintain constant pressure against the jamb. Secure jamb with Crystal Clear Two-Way Acrylic Tape (See page 85).